The Crimson returns home to square off against Brown. Backup Cameron Gornet will start in net with starter Michael Lackey sidelined due to injury. The Harvard men's hockey team boasts a 9-4-1 record since the new year and has mounted a strong case for itself in the national conversation. An NCAA-leading powerplay (31.8%), stingy team defense, and perhaps most of all, the play of senior net-minder Michael Lackey (14-6-3, 2.23 GAA, .920 SV%) have propelled the No. 17/15 Crimson to these heights. But last Saturday at then-No. 10/9 Clarkson, Lackey sustained a lower-body injury from a collision with junior defenseman Adam Fox and remains day-to-day. 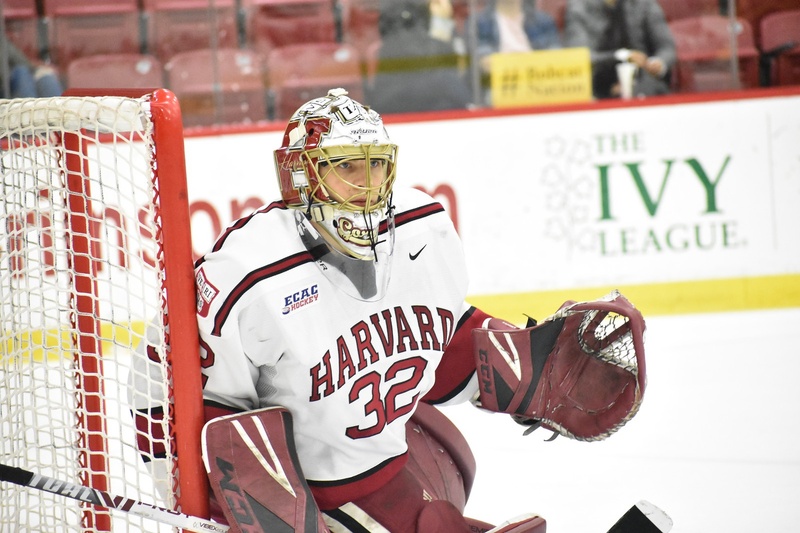 Harvard (14-8-3, 10-6-2 ECAC) will thus turn to junior Cameron Gornet between the pipes on Friday night against Brown (10-10-5, 7-6-5), hoping that a change behind the mask will not derail the team's impressive stretch of hockey. The Bears have put together a similarly solid stint, having logged victories over formidable confernece foes Union, Princeton, and Quinnipiac in recent weeks. The Crimson is eyeing a four-point weekend in order to keep its at-large NCAA Tournament hopes alive, and this feat starts tonight with a win against Brown.